This week I studied Komodo, the blockchain platform that forms the basis of SuperNET. Like Waves, SuperNET was founded by someone who was quite active in the Nxt community in the past. And as with my article about Waves, I won’t attempt to rehash that history here. Suffice it to say that James/jl777 was the developer behind SuperNET, the Multigateway, and several other projects on Nxt, including a number of assets on the Nxt Asset Exchange, but he left the Nxt community during the turbulent period of late 2015 and early 2016. Since then, he has created the Komodo platform, which now serves as the foundation of SuperNET. The vision of SuperNET is to enable users to seamlessly transact with many different cryptocurrencies in order to enjoy the unique advantages of each coin. The experience is to be so seamless, in fact, that the user might not even realize that he or she is using multiple coins. For example, if I understand correctly, a SuperNET application might allow users to transact privately with Bitcoin by converting to and from a privacy coin like Komodo behind the scenes. From a user’s perspective, it would be as if Bitcoin had “borrowed” Komodo’s privacy feature. Iguana, the codebase that underlies the Agama wallet and part of Komodo. Note that much of the literature about SuperNET refers to the Agama wallet as the “Iguana wallet,” which was its previous name. The “anchoring” process in items 1 and 2 is Komodo’s delayed proof-of-work consensus algorithm, which I describe next. I’ll return to BarterDEX later. Komodo is a fork of zCash, which is a blockchain that uses zero-knowledge proofs (via zk-SNARKs) to allow users to transact without publicly revealing their account numbers or the amounts that they exchange. Komodo has added several features to its branch of the zCash codebase, including the delayed proof-of-work (dPoW) consensus algorithm and a mechanism for creating additional blockchains that are periodically anchored to the Komodo chain. The dPoW white paper argues that the dPoW mechanism allows any blockchain to secure itself using Bitcoin’s hashpower by periodically notarizing itself to Bitcoin. In a nutshell, consensus on the weaker blockchain occurs in two stages: an initial consensus by normal means (e.g., PoW or PoS), and a second layer of consensus established periodically by a set of notary nodes, elected by stakeholders, that record a hash of the weaker chain’s most recent block on the Bitcoin blockchain. All nodes on the network agree that, in the event of a fork, they will not reorganize the blockchain past the last time it was notarized on Bitcoin. In this way, the author argues, the weaker blockchain inherits some of the security of Bitcoin. Even an attacker with a large majority of the network’s hashpower won’t be able to modify the blockchain back past the most recently notarized block. Accordingly, somebody who waits for a transaction on the weaker chain to be notarized on Bitcoin can be confident that it won’t be reversed. The white paper also proposes a mechanism to allow the network to fall back to the initial consensus mechanism in the event that the notary nodes become unavailable. The idea is that all nodes on the network are eligible to mine, but the notary nodes are assigned a lower difficulty level than normal nodes. As a result, notary nodes will normally win most or all blocks, but if an attacker were to somehow take them offline–by a DDoS attack, for example–normal nodes would be able to continue mining blocks and the blockchain would continue uninterrupted, except without the added security of Bitcoin. In this way, the dPoW chain is somewhat less centralized than it appears at first blush. This line of reasoning does beg the question of exactly what is gained by the notarization mechanism, though. In particular, if an attacker can gain control of the notary nodes, he can prevent them from signing the Bitcoin transactions that notarize the weaker chain’s blocks, forcing the weaker blockchain to rely only on its initial consensus. So it appears that the extra security provided by the notarization process depends implicitly on an honest majority of notary nodes. This is basically the security model of delegated proof-of-stake (DPOS) blockchains like BitShares. In both dPoW and DPOS, users vote by stake for a set of “special” accounts that the rest of the network depends upon for its security. Both systems suffer the same weaknesses, too: a burden on users to keep up with the “politics” of the system to know which accounts are trustworthy enough to vote for, and the corresponding voter apathy that this burden produces. All things considered, I’m not sure I see a strong case for dPoW over and above other alternatives. If the weaker chain’s initial consensus mechanism is strong enough to secure it, given its current economic value, then paying Bitcoin fees to notarize it seems like a waste of money. If the initial consensus is not sufficient, on the other hand, then it seems that the security of the chain rests entirely on the election of honest notaries. But in that case, why not use DPOS and take advantage of the increased transaction throughput that DPOS chains have achieved? Setting these considerations aside, though, it is worth noting that the Komodo platform uses nested dPoW chains to help achieve SuperNET’s vision of interconnecting a variety of different blockchains. Komodo’s additional chains are called “assetchains” and “geckochains”. These chains notarize themselves to Komodo, which in turn notarizes itself to Bitcoin. Again, the claim is that all chains involved inherit the level of security of Bitcoin, but as described above, a lot depends on each chain’s notary nodes. Unlike assets on Nxt and Ardor, or even child chains on Ardor, Komodo’s assetchains are fully independent blockchains. Their only connection to the Komodo chain is the dPoW notarization mechanism. In this way, they are perhaps closer to the sidechains that Lisk and Stratis envision than they are to Ardor’s tightly-coupled child chains. Geckochains are like assetchains but with support for smart contracts. I haven’t found many details about geckochains, and they don’t appear to be available yet, but the Komodo client does currently support assetchains via a command-line interface. SuperNET’s decentralized exchange, called BarterDEX, allows users to atomically trade coins across supported blockchains in a trustless way. The team has not yet integrated it into the Agama wallet’s user interface, but they’re working on it now, and in the meantime BarterDEX can be used on its own. BarterDEX consists of three main components: a designated set of nodes for matching orders; a set of “liquidity provider” nodes to act as market makers; and a protocol for users to exchange coins from two different blockchains with each other as a single, atomic operation. The order-matching nodes serve the same role as they do in Waves: they partially centralize the task of matching buy and sell orders in order to provide a more responsive user experience. This way, traders don’t have to wait for the next blocks on the blockchains in question to know whether their orders have been filled or to cancel an order. Liquidity provider (LP) nodes maintain balances of at least two supported coins and automatically trade them at a user-defined profit margin relative to a centralized exchange. For example, it is possible to set up an LP node that trades BTC and KMD on BarterDEX and also on Bittrex. Operators of LP nodes assume the risk associated with holding funds on a centralized exchange, and in return they profit from arbitrage opportunities between the two markets. Other BarterDEX users, for their part, get more liquidity and tighter bid-ask spreads than they would see otherwise, without having to store their coins on centralized exchanges. After a user’s order is matched, likely to an order submitted by an LP node, BarterDEX uses an atomic cross-chain swap protocol to settle the trade on the two blockchains involved. Presumably the details vary somewhat depending on the trading pair, but conceptually the process is similar in each case. One blockchain is assumed to be compatible with Bitcoin, or at least to support the equivalent of Bitcoin’s hashed timelocked contracts (HTLCs). The other blockchain must support 2-of-2 multisig transactions. Suppose Bob is trading his funds on the Bitcoin-compatible chain for Alice’s coins on the other chain. Alice and Bob each create a public key/private key pair and exchange public keys and hashes of the private keys. Alice sends Bob a 2-of-2 multisig transaction that he can spend once he knows both private keys, and Bob sends Alice a hashed timelocked transaction that Alice can spend by revealing her private key. Once she does, Bob uses it to unlock her multisig transaction and the trade is complete. The protocol adds a bit of complexity to protect each party in the case that the other exits the process early. If Alice walks away without spending the transaction that Bob sent, Bob can recover his funds after the timelock on that transaction expires by using his own private key. Conversely, in order to protect Alice from the same risk, the protocol requires Bob to submit an initial “deposit” in the form of a hashed timelocked transaction. If he walks away before paying Alice, she can wait for the timelock on this deposit to expire and claim it for herself. This is admittedly only a high-level overview of the atomic swap protocol, but hopefully it gives you an idea of how it works. The most important part is that there is no centralized exchange to facilitate the trade: Alice and Bob have exchanged coins on different blockchains without having to trust each other or some intermediary. You can find more details in the BarterDEX white paper. What do we make of Komodo and SuperNET, then? This question largely hinges on whether Komodo’s delayed proof-of-work algorithm offers a substantial degree of additional security to Komodo and its assetchains. In my view, it does not: it offers roughly the same degree of security as the delegated proof-of-stake algorithm, even if the notary blockchain is assumed to be perfectly immutable. In this light, Komodo’s assetchains look a lot like the user-deployable sidechains that Lisk and Stratis aim to offer. In all three projects, and in contrast to Ardor’s child chains, each assetchain or sidechain is responsible for its own security. Komodo seems to have a head start on both Lisk and Stratis in terms of functionality, though, as users can already deploy their own assetchains and conduct atomic swaps on some pairs. Note that Ardor’s child chains store hashes of their blocks on the Ardor chain, rather like Komodo stores hashes of its blocks on Bitcoin, but there is a crucial difference: Ardor’s forging nodes validate all child chain transactions. Each child chain effectively inherits all of the forging power of the Ardor chain, rendering it just as secure as Ardor and obviating the need for separate miners or forgers. With regard to cross-chain atomic swaps, Ardor and Komodo are perhaps a bit more comparable. Ardor natively supports transactions among child chains and also between each child chain and the parent chain. Moreover, it supports a phased transaction type that is equivalent to 2-of-2 multisig, enabling the same kinds of atomic swaps with Bitcoin-compatible blockchains that BarterDEX uses. 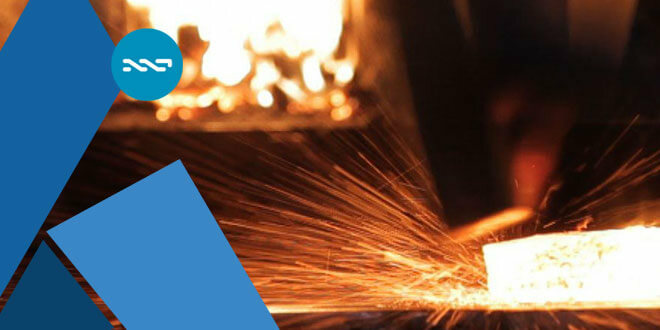 Ardor even adds the ability to combine multiple phasing conditions with Boolean AND, OR, and NOT operators, potentially allowing users to create the equivalent of a hashed timelocked transaction. Using BarterDEX’s approach, this feature could enable atomic cross-chain swaps to any blockchain that supports 2-of-2 multisig. SuperNET’s vision of independent but interconnected blockchains is quite compelling, and between the Komodo platform, the Agama wallet, and the BarterDEX exchange, SuperNET has made real progress towards realizing that vision. While I am skeptical that the delayed proof-of-work algorithm provides substantial additional security to Komodo and its assetchains, the ability to quickly deploy an assetchain at least puts Komodo ahead of Lisk and Stratis in the race to build a functioning sidechain platform. Also, I see a lot of value in the ability to easily conduct cross-chain atomic swaps using BarterDEX. Even so, I have to wonder whether there exists at the heart of SuperNET a fundamental tension between two of its goals. On the one hand, it aims to integrate the best features of many disparate blockchains, providing users and developers a seamless way to enjoy the unique advantages that each chain offers. On the other hand, it has offered Komodo as a single platform to solve most problems, supporting as it does private transactions, user-provisioned sidechains, and, in the future, smart contracts. Success at either of these goals seems to undermine efforts to achieve the other. Ardor, for its part, also has a compelling vision, and one that is perhaps a bit more coherent: to support a multitude of businesses and projects on its child chains, making available to each a set of prepackaged features, allowing each to interact with the others, and requiring none to provide for its own security or to store forever the histories of the others. 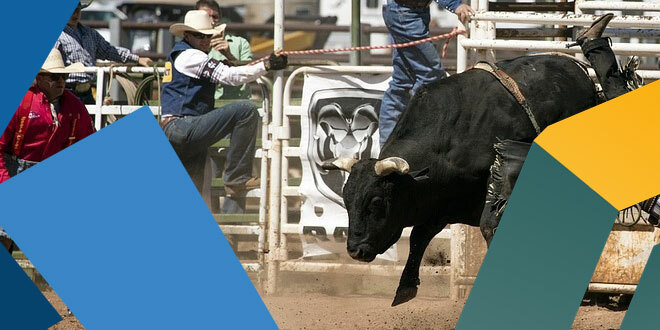 Ardor already offers most of the technology required to realize this vision; what remains is for businesses, developers, and users to put that technology to good use. I recently decided to start a series of posts that compare and contrast Ardor with other blockchain projects that appear to have similar goals or features. Roughly each week, I'll pick a project whose scope overlaps at least a little with Ardor's, study its technical documentation, and post a summary of my findings here for you to critique. This week, I've been reading about Lisk. In a nutshell, Lisk is a platform for developing decentralized applications (dapps) that run on sidechains anchored to the Lisk mainchain. It uses a delegated proof-of-stake (DPOS) consensus mechanism to secure the mainchain, while sidechains are each responsible for their own security (sort of, but see the description of the delegate marketplace below). The protocol uses a set of predefined transactions, rather like Nxt and Ardor, as opposed to a low-level scripting language like Bitcoin or Ethereum. Before I get into the details, I should start by saying that Lisk is definitely in an early stage of development. The team is currently in the middle of rewriting the Lisk SDK, which will support sidechain development, and is continuously refactoring Lisk Core, which is the full node. With the code in flux, some important architectural questions, particularly about sidechains and how they will interact with one another and with the mainchain, do not appear to have been settled yet. On the other hand, I had some difficulty finding a current, authoritative source of technical information about Lisk, so what I present here might be out of date. The best information I could find was in the wiki, this article by one of the co-founders, the roadmap, and these YouTube videos. None of the first three sources are recent, unfortunately, and even the videos don't go into much depth (though I admit I haven't watched all 6+ hours of them). If you've found better references, I'd be grateful if you could send them my way. But clearly, ease of developing and deploying a custom blockchain is not the only goal of Lisk. If it were, then what purpose would the mainchain serve? You might as well clone Bitcoin or Nxt if all you want is a good starting point for building your own blockchain. The Lisk API will allow deposits of LSK on the mainchain to be transferred to and from sidechains. With two such transactions, it will be possible to send LSK from one sidechain through the mainchain and to another sidechain. Unfortunately, according to the article by one of the co-founders linked above, it sounds like transferring LSK onto a sidechain will require sending it to the sidechain's owner, which obviously requires some degree of trust. To avoid this problem, it will be possible to create sidechains that use their own forging tokens instead of LSK. This token would then need to be traded for LSK in order to transact through the mainchain with another sidechain. Alternatively, it might be possible for one sidechain to transact directly with another sidechain without going through the mainchain, but the developers are still researching how this would work. Eventually, the team plans to build a "delegate marketplace" where delegates who are not securing the mainchain can offer to secure sidechains and are paid "either by the [sidechain] application owner or its users." Again, the details are a little fuzzy, but there seems to be a lot of value here: presumably the Lisk network is already far larger than a typical brand new blockchain network, and the delegate marketplace gives sidechains an "off-the-shelf" set of nodes that they can use to secure themselves in their infancy. Some nodes on the network (not sure which ones) will periodically hash sidechains and store the hashes on the mainchain as a "basic validation of sidechain integrity." I haven't been able to find any details about how this mechanism will work, though. Apart from these functions, and from the obvious role it plays in transferring LSK between accounts, the mainchain itself doesn't seem to have any other intended uses. All of the business activity is supposed to occur on the sidechains. How does this architecture compare with Ardor's parent chain and child chains? Maybe the most obvious difference is that each sidechain must have its own set of nodes to secure it, whether these are provided by the sidechain creator, the users, or eventually the delegate marketplace. 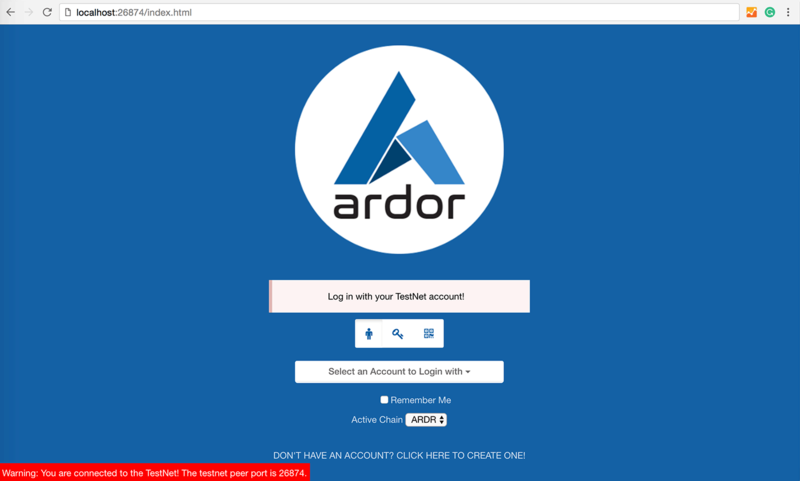 With Ardor, in contrast, every node on the network validates child chain transactions, but only accounts holding ARDR forge. The fact that accounts holding child chain tokens don't forge with them means that it doesn't matter how small child chains are or how unequal the distribution of tokens on them is; they are all just as secure as the parent chain. One additional note about Lisk is that, until the delegate marketplace opens, sidechain creators choose the nodes that forge on their chains, which seems to require that users place a great deal of trust in them. On the other hand, the team has also suggested that Lisk will be flexible enough to allow sidechains to use an entirely different consensus algorithm, like proof-of-work, so it seems that sidechain creators wouldn't determine which nodes secure the chain in that case. There are also plans to allow existing sidechains to switch consensus mechanisms even after they launch, but again I haven't been able to find details. Clearly, both Lisk and Ardor intend to offer scaling advantages over traditional blockchains. With Lisk, the computational scaling advantage is obvious, since each forging node validates only the transactions on a single blockchain, either the mainchain or a sidechain. The reduction in required storage space (i.e., blockchain bloat) is less clear, though. Compared to Ethereum, say, it's obvious that for a similar level of total activity, the many chains in the Lisk ecosystem will each grow more slowly than the single Ethereum chain, simply because sidechains will not store each other's data. Compared to Ardor, though, the storage savings would be modest. 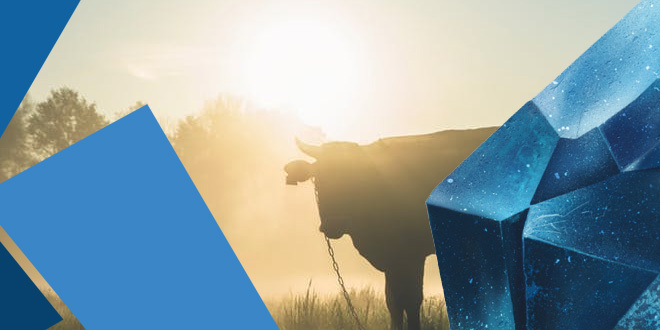 Ardor's parent chain will grow at a similar rate to the Lisk mainchain--as both will store only hashes of sidechain or child chain data instead of the data itself--but on Ardor the child chain data will be pruned away, eliminating the blockchain bloat problem that Lisk will still have on each sidechain. Will it be possible to convert one sidechain's token directly to another sidechain's token without converting to and from LSK? How? When the delegate marketplace opens, will it be possible for users to elect delegates using sidechain tokens? Or will they have to use LSK? Or will sidechain owners maintain control over which delegates forge? What will Lisk do with the hashes of sidechains that are stored on the mainchain? Will it be possible to roll back recent transactions on a sidechain to "restore" it to the state it had when it was hashed? If so, will there be some time after which this will not be possible, so that the sidechain can still be considered immutable? Will the Lisk SDK provide some clean mechanism for changing the consensus algorithm on an existing sidechain? I'm not sure what this would look like. What happens if a sidechain that uses LSK forks? Obviously, the LSK tokens on both resulting sidechains cannot be simultaneously backed by the same LSK reserves on the mainchain. I would assume the sidechain creator effectively gets to choose which chain is the "real" one, since he or she is the one holding the reserves on the mainchain, but I don't know for sure that this is correct. Depending on how Lisk will support transactions directly between sidechains, this same concern could require additional trust between sidechain creators. In particular, if sidechain creators must hold reserves of each other's tokens to enable cross-chain transactions, which seems like one plausible way to do it, then a fork in one sidechain could give the other sidechain's creator some influence over which branch of the fork is honored. Moreover, if the forking sidechain transacts with several other sidechains, each of which hold reserves of the split token, then the situation could get ugly pretty quickly. In my opinion, the most important advantage Lisk has over most blockchain platforms, including Ardor, is that it will accomplish a natural computational scaling by segregating each dapp onto its own blockchain. If, in addition, sidechains will be able to transact seamlessly and trustlessly with one another, then it seems like the design has immense potential. If we're making the assumption that the Lisk team will successfully implement all the features required to make this happen, though, then we ought to grant Jelurida the same courtesy and assume that they'll be able to carry out their own scaling plans. In particular, one potential improvement on the Ardor roadmap is to confine child chain transaction processing to dedicated subnets of the Ardor network. It seems to me that this would accomplish a similar computational scaling to Lisk, while preserving Ardor's substantial advantage in reducing blockchain bloat. In conclusion, Lisk's mainchain/sidechain architecture could potentially help it scale to accommodate a large number of dapps that could interact in interesting ways, but right now there seems to be a lot of uncertainty in the technical details. Ardor's approach is technically quite different but solves some of the same problems, namely blockchain bloat, potentially computational scaling, and the ability to transact easily between separate chains. It will be very interesting to see how Lisk develops in the next two or three years, but then again, by that time Ardor will have been live for a long time already.